A shipment of chicks arrived in Bangladesh after traveling a long journey from the hatchery. In order to keep the birds healthy and properly hydrated, our technical team came up with a unique solution. Watermelon pieces were used in order to make sure the chicks were strong and healthy during travel to the barns. 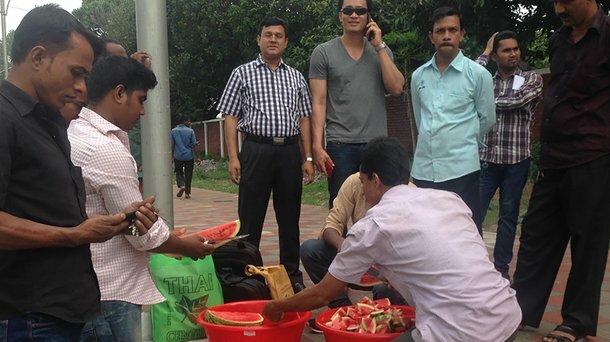 Pictured below is the local team preparing the watermelon and feeding to the birds. We continued to observe the chicks after placement and found that they were active and eating well in their home facility. 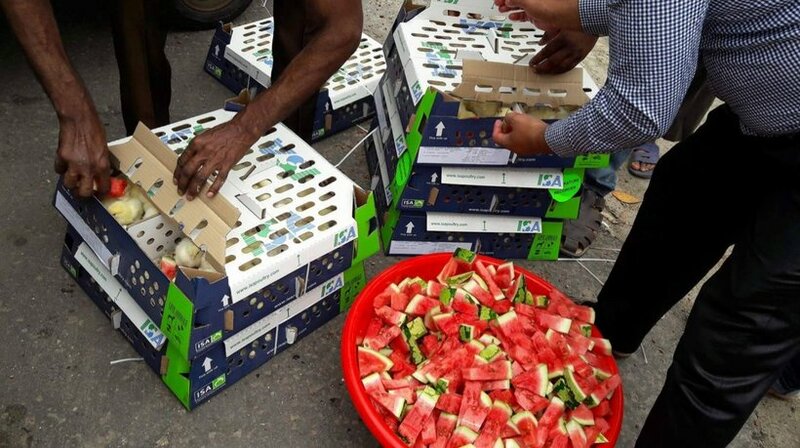 Our customer, the technical manager was pleased with the performance and will continue to use watermelon to rehydrate newly delivered chicks while also working on reducing the transport time even further for continued success.